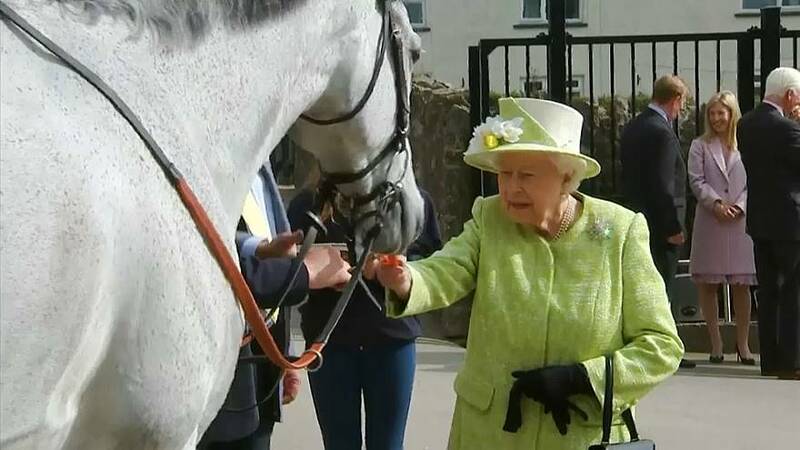 Queen Elizabeth indulged her love of horseracing on Thursday (March 28) with a visit to England's west country, where she toured the stables of trainer Paul Nicholls. Elizabeth has been passionate about horses ever since she was given a Shetland pony as a child. She is a keen rider and owns racehorses herself. She also officially named a horse of the local Avon and Somerset police force. Her trip ended with a tour of Hauser & Wirth Somerset, a gallery and multi-purpose arts centre.